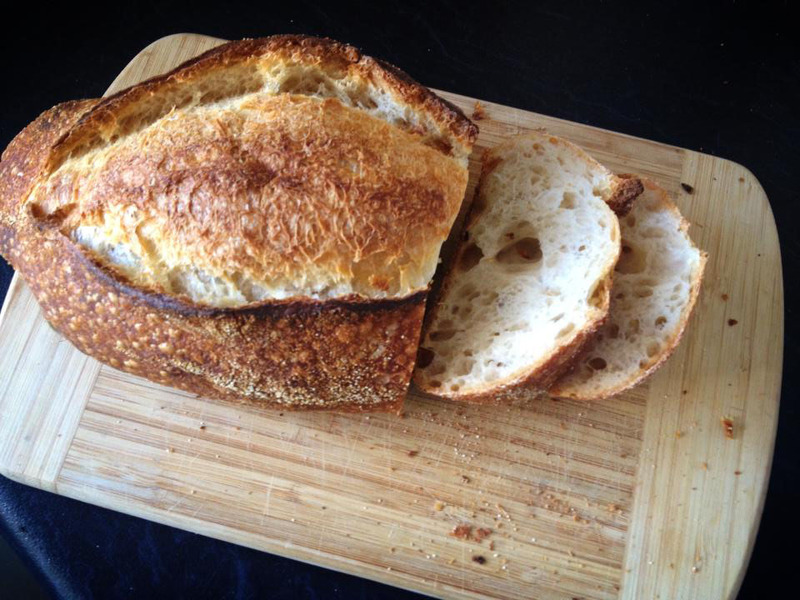 As you may have already guessed from my post about Simmone Logue, bread is one of my favourite foodie delights. So it was with great anticipation that I headed to the iconic Bourke St Bakery in Surry Hills. I had checked beforehand what vegan products were available and was advised that all the sourdough breads were fine. The range of sourdoughs includes the standard and wholemeal as well as such variations as fig and cranberry, potato and rosemary, hazelnut and raisin and several others. I could not decide what to choose so thought I’d have several different ones for a breakfast. It was the perfect autumn morning when I headed to the café on Sunday. I do recommend the lovely streets of Surry Hills as a place that’s made for wandering when you don’t have any place you urgently wish to be. The café itself is set in a charming corner shop and decorated with a vintage flair. It was crowded inside the small store but there was plenty of seating outside. 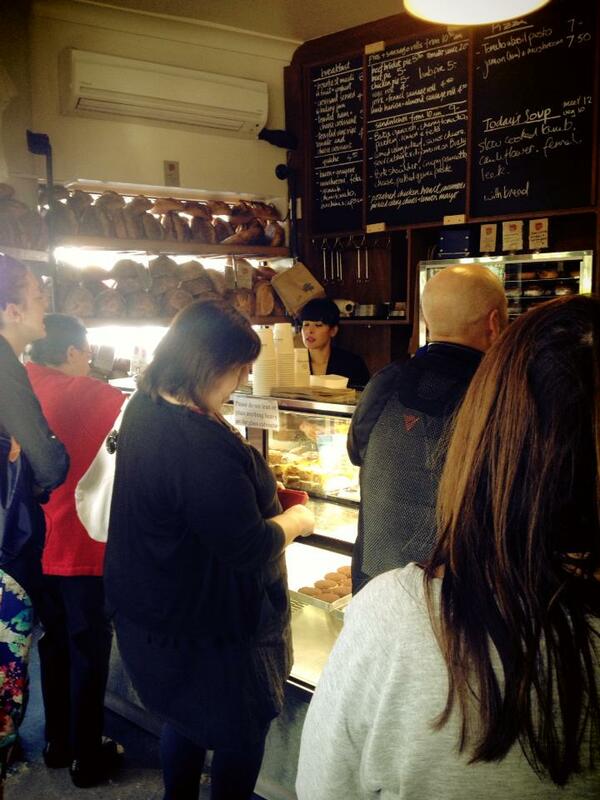 I went to place my order and was advised that toast is not served in the Surry Hills store. It put such a full stop on my outing, because there was no other suitable food! I tried to salvage my trek out there by ordering a takeaway mocha and a sourdough loaf. If I was rating the bakery, I would give it good marks because the bread was delicious and it has a very charming atmosphere with plenty of opportunity to people-watch. However, I have to discount the café experience as, well, what can you do when there is not even one vegan option! In a bakery, of all places, I am surprised.